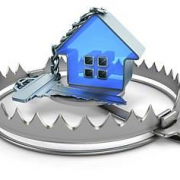 Home buyers and real estate investors are being warned to watch out for the hidden traps that may be lurking in their potential property purchases. Leaky showers, cracked ceilings and self-opening doors are among the signs pointing to bigger and more costly “nasty surprises”, the Association of Building Consultants says. “Many homes are tidied up for sale, with the pre-sale spruce ranging from a basic clean through to bagging cracks, repainting, retiling and re-grouting, and even new floor coverings,” The makeover might look good, but it also masks what might be more sinister problems such as termite damage, salt damp, structural issues, unlicensed and dangerous electrical work, and more. For example, a leaky shower might seem harmless on the surface but if the leak is allowing water to flow into the soil next to your home, it’s likely to attract termites. Short says building inspections can be particularly valuable for investors who will not be living in the property they buy. You need to know it well so that you’re clear about urgent maintenance requirements to meet your obligations as a landlord – such as ensuring smoke alarms are hardwired – and the cost of long-term maintenance. He adds to make sure the report is a written one, rather than a verbal agreement. Some of my students have been able to negotiate the purchase price down by the repair amount or they have just pulled out. Lenders Mortgage Insurance (“LMI”) is one way of getting into homeownership without having the full 20% deposit which is typically required by most banks and financial institutions. 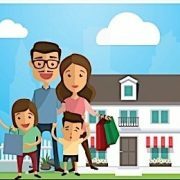 LMI should not be mistaken for Mortgage Protection Insurance, which covers your mortgage in the event of death, sickness, unemployment or disability. 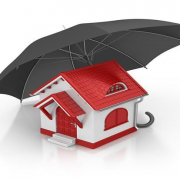 LMI protects your lender against a loss should you, as a borrower, default on your home loan. If the security property is required to be sold as a result of the default, the net proceeds of the sale may not always cover the full balance outstanding on the loan. Should this be the case, your lender is entitled to make an insurance claim to LMI insurer for the reimbursement of any shortfall. Where a claim for loss is paid to a lender, the insurer may seek recovery from the borrower, or any guarantor, for any shortfall amount. The LMI is added directly to your home loan in most cases, so it’s not a fee you need to pay upfront. Can it be avoided? Yes, you can save for a bigger deposit, but in some circumstances saving for a larger deposit may not be an option. A larger deposit means you’d borrow less and therefore pay less interest over the course of your loan, but it also means delaying your purchase. If the market is strong prices could rise, and so paying LMI now could be cheaper than the extra dollars needed to secure a property in a year’s time. That’s a choice you can make with your financial advisor, and it will be an estimate at best. http://brickhill.com.au/wp-content/uploads/2017/06/LMI-e1497824846790.png 333 500 admin http://brickhill.com.au/wp-content/uploads/2017/03/brickhill-340-x-156.png admin2017-06-19 08:28:362017-06-19 13:02:23What is Lenders Mortgage Insurance? 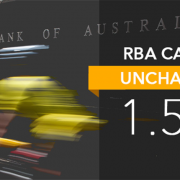 As lenders continue with their out of cycle rate increases and with the growing probability that the government’s bank levy will be passed onto customers, the Reserve Bank of Australia today decided to leave the official cash rate unchanged. In continuing to adopt a wait and see approach the RBA took into account the latest set of mixed economic data. Unemployment has fallen from 5.9% to 5.7% and retail spending was up 1% in April but there are signs that the housing markets in Sydney and Melbourne are slowing and economic growth data due out tomorrow is expected to be lower. Most experts believe the rates will not move until 2018, with a few predicting late 2017. First Home Buyers, before you decide to purchase your first property there are a number of things to consider, including your current personal circumstances and financial status. Then, when you talk to your finance broker about applying for pre-approval on the right type of loan, ask for their help to work out what you can afford in terms of repayments. Depending on the property, there can be a number of additional costs, so ask your finance broker what other payments you will face. This can include, but isn’t limited to, stamp duty, loan establishment fees, legal and conveyance services, utilities, property insurance, maintenance and lenders mortgage insurance. How have the proposed changes in the 2017 NSW budget improved my position?